A practical jacket, this shell will serve well for occasional use. Performing average across the board, The North Face Resolve 2 jacket utilizes a variety of technologies to secure its place as a suitably performing rain shell that will meet many of your needs for occasional or around-town use. It is designed for cooler weather but makes an effort to keep you cool when it warms up. However, the design has some room for improvement when it comes to overall water resistance. The colors for the Resolve 2 have changed, but the design of the jacket hasn't changed since our testing period. From the mountains to the deserts, the Resolve 2 ranked average when compared to other leaders in its class. The fabric of the Resolve 2 proved highly waterproof with its Dryvent™ technology and sealed seams. However, we did run into trouble when moving around in this jacket in the rain. The sleeves only included elastic at the wrists, leaving them fairly open and allowing water in. There was a fatal flaw when tightening down the elastic cinchers; the zipper broke when tightened at the waist, leaving the torso exposed to rain. Thus, while the fabric performed well, the jacket as a whole did not prove completely waterproof. A 3-layer jacket, The North Face took your wearing comfort into mind when designing the Resolve 2. The mesh liner allows for air flow through the torso, and the Dryvent technology purports to allow heat and moisture to escape while keeping water out. However, in testing, we did not find this jacket very breathable, particularly with the fleece fabric around the neck keeping heat in. Nevertheless, this does prove useful in cold weather, making this a great high-elevation or winter shell for wearing over other layers in inclement weather. The Resolve 2 utilizes 3-layer technology with a mesh liner for waterproofing and added breathability. With fleece fabric around the high neck, it seems like The North Face designed this shell for cold weather, and in that case, it is a comfortable shell. However, the fabric is rather crinkly, and the mesh liner proved somewhat troublesome, particularly when layering or wearing a backpack. The fit was also not the most flattering, but it served well as a functional piece. Weighing in at 13.77 ounces, this was one of the heavier jackets we tested, making it more appropriate for casual use, rather than high-performance or backcountry use. With the wear on the fleece neck liner and the possible failure points of the mesh liner, as well as seemingly permanent wrinkling from being packed in a bag, this jacket did not prove the very durable compared to others we tested. However, the somewhat rigid outer fabric did hold up well, suggesting it would retain waterproofing in the long term. While the Resolve 2 did not include a pocket stuff sack, it still folded down relatively small at just over 160 cubic inches at its smallest. This placed it about average for the jackets we tested. The North Face Resolve 2 will serve well as a rain shell for wearing around town or on short kayaking or hiking trips. We would not recommend it for serious climbing or long backpacking excursions, as you might find yourself damp and uncomfortable. At $89.95, this jacket is priced appropriately and will serve well as an occasional use jacket that you can rely on, though it is not a piece of performance gear. Designed for use in cold weather, the Resolve 2 is a great mountain jacket for the shoulder seasons when you don't have to worry about hot weather or snow. If you live somewhere it rains just a few days out of the year and heat and humidity are not an issue, this could be the jacket for you. However, this is not the jacket for the avid outdoor enthusiast who will be exploring in weeks of heavy downpour. 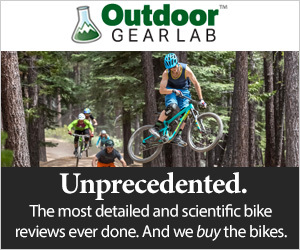 Backcountry $44.98 - 50% off! Amazon $49.47 - 45% off!